The hype over the past few days regarding the appearance of golf’s so-called superstars at the slimmed down Singapore Open was anything but a let-down when the event got underway today at the Serapong Course at Sentosa island, just off the mainland of Singapore. The much-ballyhooed trio of Adam Scott, Sergio Garcia and Ernie Els just fizzled out in the opening round and if we are to judge by their respective performances today, forget about these three guys contending come Sunday. While these international stars were an absolute let down, our Asian stars put on one helluva show. 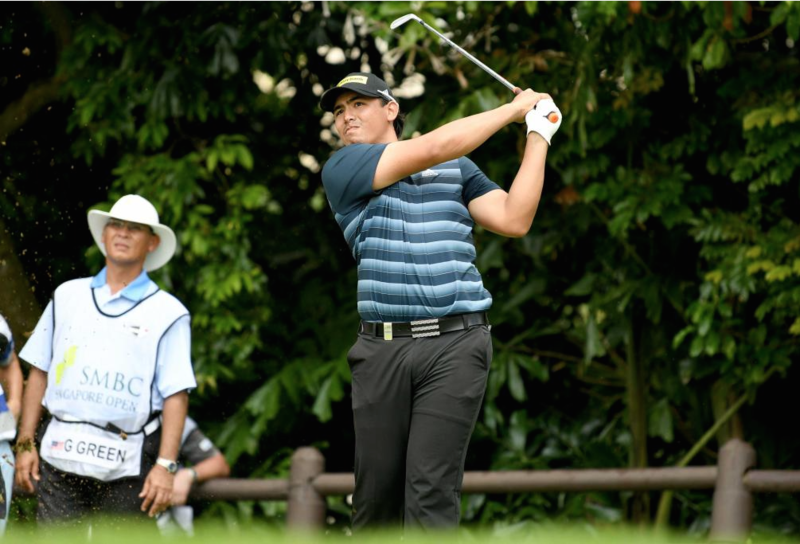 Young Gavin Green (pictured), the Malaysian phenom was in blistering form as he blasted his way up the leaderboard to sit just one stroke back from the joint leaders Hideto Tanihara of Japan and South Korea’s Kang Kyung-nam who are locked at 6-under par. “I putted well today. I played a little smarter than I did last year too. I was just cruising along towards the end of the round,” was how Green summed up his opening round. At the time of writing play was suspended due to a thunderstorm. We will bring you updates should play resume.